This lovely die has been used on many of my projects and it is definitely one of my favorites. (Yes, I love all of Suzanne's dies and there are some that I seem to go to frequently: Believe, Memories, Remember, Merry Christmas and happy.) I pulled out this favorite die and played with mixed media products to create the Dream card. 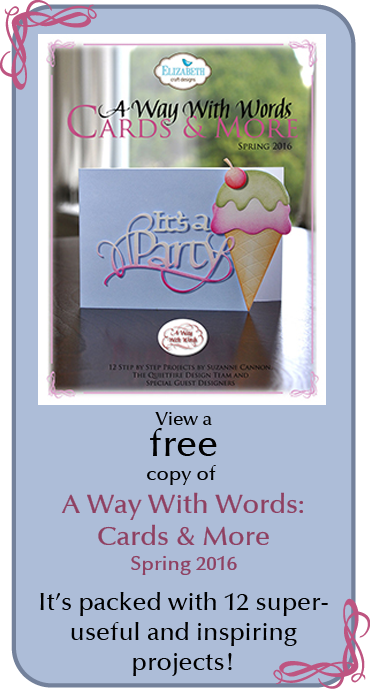 Create a top fold card 5.25" x 5.25" from Kraft card stock. Cut pinstripe patterned paper (from My Mind's Eye) to 5" x 5" and distress edges. Apply white gesso to the center of the paper and lightly along the edges. Dry. Place Tim Holtz' "Tracks" stencil vertically on paper and apply Archival Ink in Coffee. 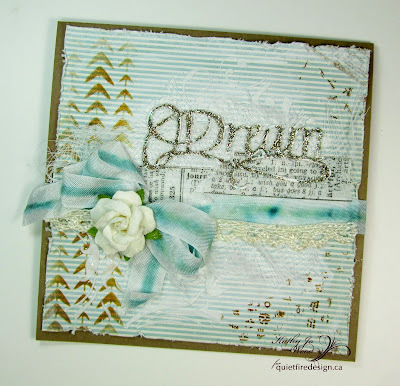 Place Tim Holtz' "Bubble" stencil on paper and apply Coffee archival ink. 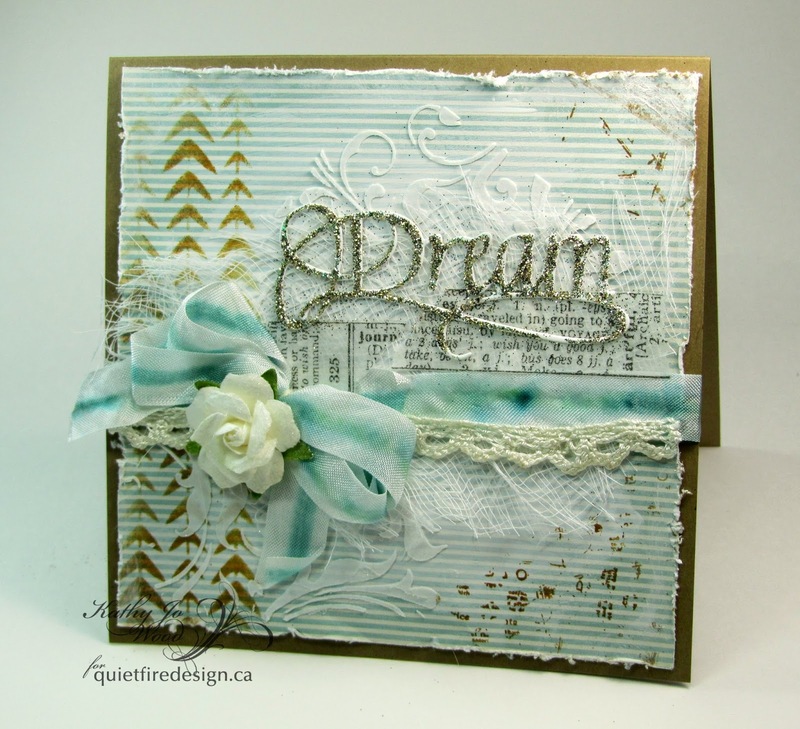 Place Tim Holtz' "Flourish" stencil on paper and apply Ranger Texture paste using palette knife. Adhere scrap cheese cloth and tissue tape as shown. Dye ribbon using Distress Stain in Tumble Glass. Adhere lace ribbon. Create bow and adhere bow/ribbon to card front. 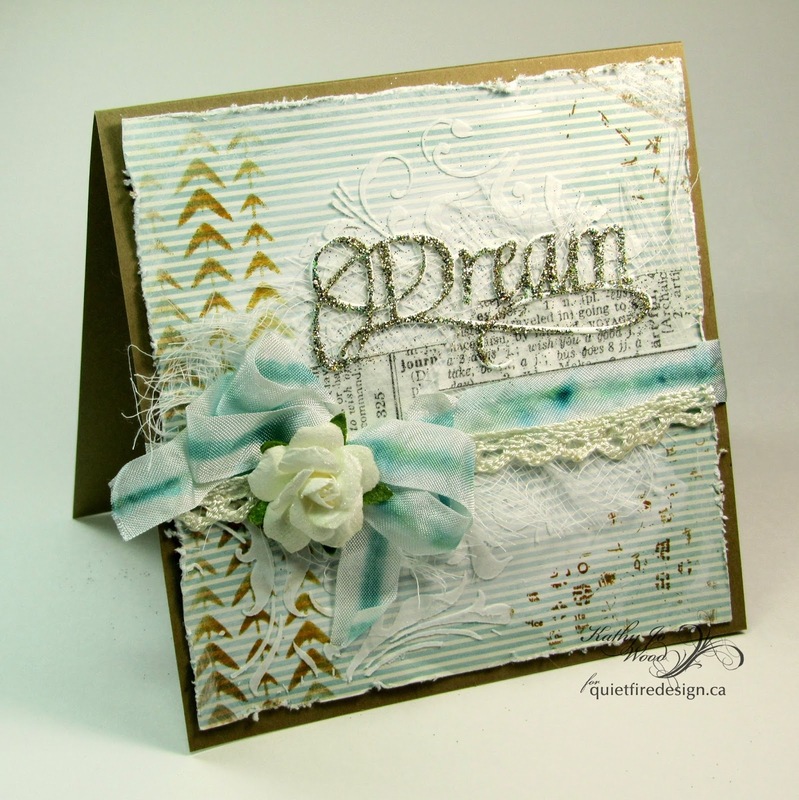 Die cut Dream using white card stock. Apply Stickles in Peacock. 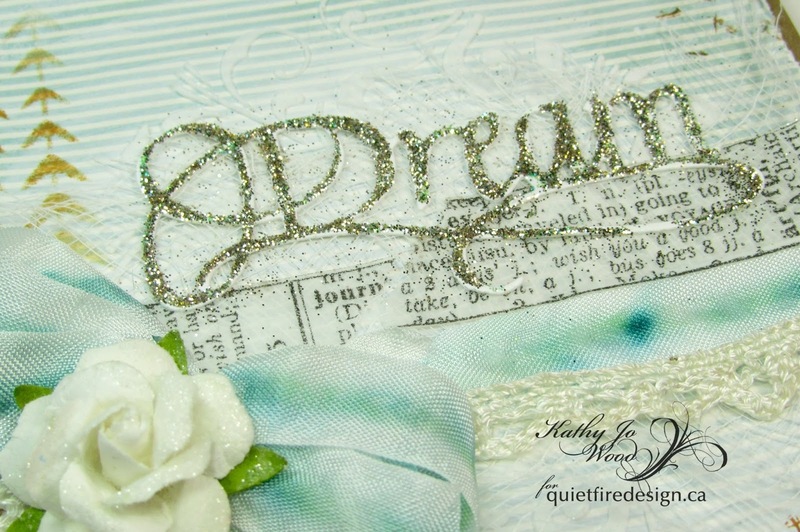 Sprinkle Tim Holtz Glitter dust on still wet Stickles. Air dry. Adhere to card front. Glue white rose to ribbon. The card was so fun to make and the Dream pops on the card as it is sparkly and pretty. Buy two items from our Paper category and get 30% off each! For in stock items only. Sale price will appear when the item is in your shopping cart. Christmas Stamps are 20% off regular price! Gorgeous creation Kathy Jo! Love the colors you chose and the beautiful textures you created.